This campaign was created to petition the British Museum and the government of the United Kingdom of Great Britain and Northern Ireland to immediately return to Greece all antiquities held by the British Museum, under the collective title of ‘the Acropolis Sculptures’, which were illegally removed and exported from the Acropolis of Athens by the agents of Lord Elgin in the early nineteenth century. In the beginning of the 19th century, agents acting on behalf of Thomas Bruce, the 7th Earl of Elgin (often referred to as “Elgin”), barbarically removed sculptures and architectural members from the temples of the Acropolis of Athens and shipped them to Britain. Academic research has clearly demonstrated that Elgin’s agents performed their operations using illegitimate and immoral means, including, but not limited to, cajolery, threats, and the payment of substantial remuneration and gifts to Turkish officials in Athens. The document consistently put forward by the British Museum as the authority for the actions of Elgin’s agents is a ‘firman’ or ‘edict’. However, the original document has never been seen or produced and the translation provided by Elgin’s agents is not in the legal format of a ‘firman’. Furthermore, it bestows no authorisation to remove sculptures from the buildings on the Acropolis. Of the various sculptures that Elgin took, which are now part of the “Elgin Collection” at the British Museum, the most famous are the sculptures from the Parthenon, the central and symbolic building of the monument in Athens. Sadly, the summer of 2016 marks the 200th anniversary of the acquisition of the Parthenon Marbles by the British Parliament from Elgin and subsequent transfer to the British Museum where they have since remained. The state-of-the-art Acropolis Museum in Athens, a stone’s throw away from the Acropolis itself, was purpose-built to host sculptures and other archaeological finds from the Athenian Acropolis. The Parthenon Gallery, the 360-degree panoramic exhibition environment at the zenith of the Acropolis Museum, was specifically designed to protect and display the Parthenon Sculptures under optimal conditions. Visitors can walk in the Parthenon Gallery and admire the Sculptures in their correct layout and unique sequence as external decorations to a building, in direct visual connection with the Acropolis itself, and illuminated with the natural, bright sunlight of Athens. In opinion polling, an overwhelming majority of UK nationals has consistently expressed support for reunification. Despite the excellent display and conservation conditions at the Acropolis Museum and strong support for reunification by the British public, the British Museum and the government of the United Kingdom of Great Britain and Northern Ireland remain intransigent of the question of returning the Parthenon Marbles to Athens. The “Elgin Collection” in London contains various sculptures from the Acropolis, the largest number of which came from the Parthenon and include – almost all of the pedimental sculptures, more than 60% of the frieze, and a number of metopes (for a precise list of the Parthenon sculptures currently in London, please visit the website of the Greek Ministry of Culture: http://odysseus.culture.gr/a/1/12/ea126.html). The Acropolis, which includes priceless and unique works of art, namely the Parthenon, the Erectheion, the temple of Athena Nike, and the Propylaea, is an ancient monument that captures the essence of the history of Athens and civilisation itself. It is a symbol of democracy, built by the finest ancient Greek artists and architects of the time, embodying the knowledge of sciences, art and philosophy. Today, the Acropolis is a World Heritage Site recognised by UNESCO (World Heritage site nomination reference no. 404), and is seen as a symbol of World Heritage itself. It is also a designated monument of European Heritage, and an icon referred to by the world as the symbol of ancient Greece and democracy. In recent years opponents of the idea of the reunification have argued that the crisis that has hit the country so severely that Greece would be unable to properly care for the sculptures. Despite these financial challenges, the Greek State effectively manages the heritage assets under its care and the Acropolis Museum, as aforementioned, has an entire wing ready to display the pieces. 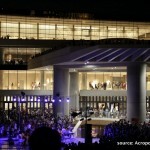 Conservation efforts, both on the Acropolis and within the Acropolis Museum have attracted awards in the recent years. 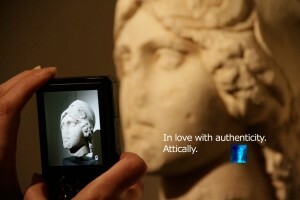 In 2012 the Acropolis Museum was awarded the Keck Award, by the International Institute, for Conservation (IIC) for the conservation of the Caryatids. In 2013 the Acropolis Propylaea restoration project won the Europa Nostra Award for Conservation. 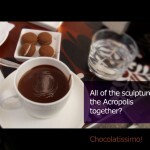 You can find out more about the Acropolis Restoration Project on the Acropolis Restoration Service website: http://www.ysma.gr/en/. The Sculptures taken by Elgin must be returned to Athens and reunited with their surviving counterparts – members of their historical family. Only when these sculptures are displayed in the context of the original 2,500-year-old monument, can their physical and conceptual integrity be restored. 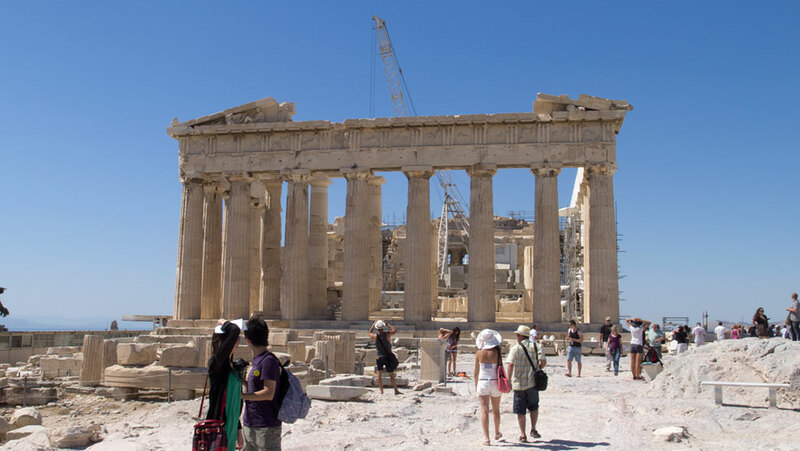 By signing this petition you declare that you support the cause of the return to Athens all of the sculptures that Elgin removed from the Acropolis, including the Parthenon Marbles, the sculptures and architectural elements taken from the Parthenon. The government of the United Kingdom of Great Britain and Northern Ireland and the British Museum have the ethical, professional and historical obligation to permanently reunite these sculptures with the existing original pieces in Athens. This act will restore, reunify, and enhance a World Heritage monument, a universal symbol, and augment the historic friendship between Britain and Greece. This petition will be delivered to the Prime Minister of the United Kingdom of Great Britain and Northern Ireland and the Director of the British Museum. 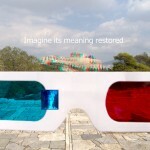 Thank you for supporting the conceptual restoration of the Acropolis! Thank you for supporting this petition!